The playlist will be based on your trip. On Wednesday, Spotify launched a new site with a feature to get rid of those boring Out of Office messages. 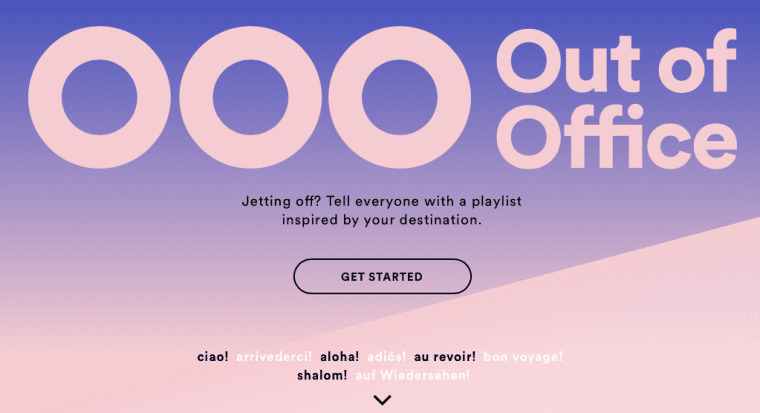 The site's simply titled "Out of Office" and it creates a playlist based off the user answering just a few easy questions, like if you're traveling for business. Lastly the user drags a dot along a line with the words "relaxation," "adventure," and "party" to drop on or anywhere between the words to find the mood of your trip. Check it out here and liven up those Fourth of July away messages for your coworkers.